Zeynep Turk is the StudyMaine Director and a Senior Trade Specialist for Maine International Trade Center. Zeynep currently works with the life sciences industry which includes biotechnology, medical devices, laboratory equipment, veterinary sciences, and diagnostics industries. She leads the StudyMaine initiative, assisting Maine educational institutions in recruiting international students. She has also worked with Maine’s wood products and pulp and paper industries and continues to assist companies in these sectors. For the past 12 years, Zeynep led the “Best of New England” collaborative partnership to MEDICA, the World’s largest medical trade show in Düsseldorf, Germany. She has helped Maine companies participate in trade shows in Germany, UK, UAE, Vietnam, and China. Zeynep has traveled extensively in Africa, Asia, Europe,and the Middle East. A native of Istanbul, Turkey, Zeynep earned a BS in Business Administration and Behavioral Science from the University of Maine at Machias and an MBA from the University of Maine, Orono. Prior to joining MITC in 2005, Zeynep worked in the banking industry, specifically in commercial lending and small business lending areas, and for the United Way of Greater Portland as a fundraiser. 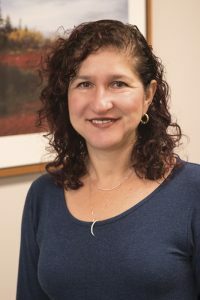 Zeynep serves as the Vice President of the Bioscience Association of Maine Board and the Vice President of the Board of Directors of the Animal Refuge League of Greater Portland. Formerly, she served on the Board of Directors for the English as a Second Language Scholarship Fund.